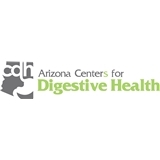 Arizona Centers for Digestive Health (Mesa) - Book Appointment Online! AZCDH is a Gastroenterology and Advanced Endoscopy Practice based out of Gilbert, Arizona. We offer expert Gastroenterology including subspecialty consultative services in esophago-gastric, pancreatico-biliary, Colon and small bowel diseases. In addition to Gastrointestinal Cancer, nutritional & metabolic disorders, inflammatory bowel disease (IBS), liver disease & Women’s Gastrointestinal health disorders. We offer all basic and Advanced Endoscopic Procedures, at our State-of-the-art Outpatient Endoscopy Center. We offer and provide inpatient/outpatient gastroenterology and advanced endoscopy services primarily at Banner Desert Medical Center Located in Mesa, AZ and Arizona Advanced Endoscopy, located in Gilbert, AZ.